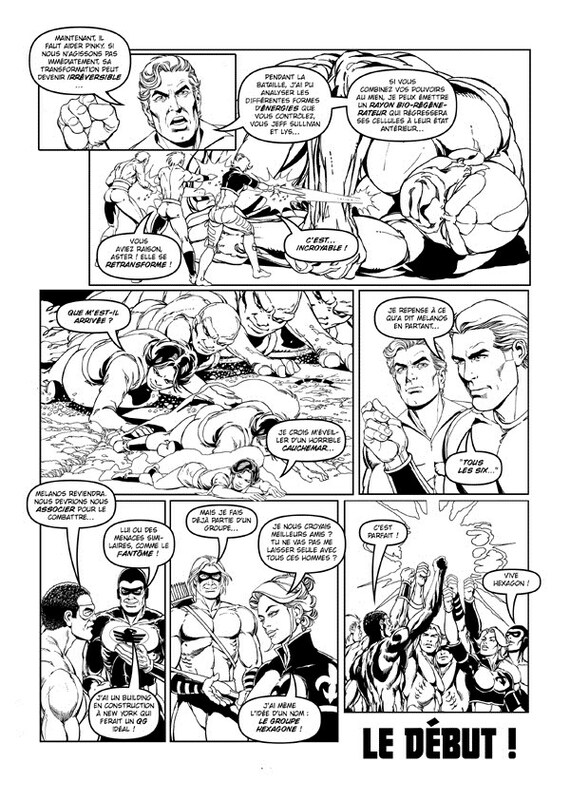 The Hexagon Group is a private organization of six super-powered heroes gathered together to protect Earth against superhuman threats. The group is financed by the personal wealth of its members, but mostly Nerotek. It is named thus because a hexagon is the perfect structure offering maximum resistance and tensile strength. The Hexagon Group is headquarted in New York; it has worked together with C.L.A.S.H. and other U.N. organizations. It has at its disposal a vast array of advanced technology, mostly invented by Cletus and Dominik Nero and Sweet. 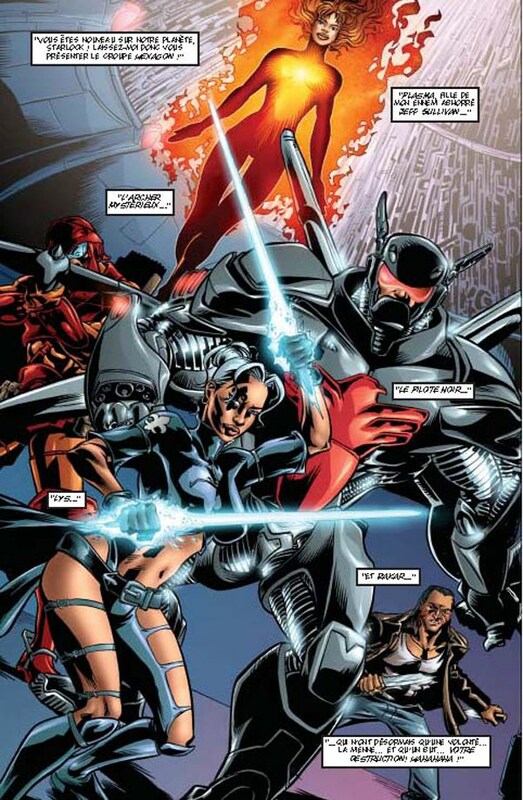 The FOUNDING MEMBERS of the Hexagon Group were Jeff Sullivan, Dark Flyer (I), Black Lys, The Mysterious Archer (I), White Mask, Aster and Pinky, who were brought together to defeat Melanos. 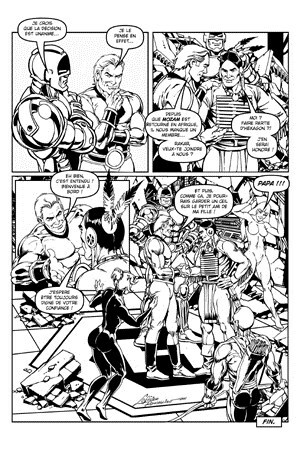 After the disastrous affair of the Black Hive, White Mask resigned and swore to never work with the Group again. Max Tornado and Mozam then joined the Group, but Max Tornado soon asked to become a "Reserve Member" because of his duties towards NASA. Dax (Mysterious Archer I) was recalled by the Brotherhood of Archers and replaced by a second Mysterious Archer, Jukka Häyhä. At that time, after a battle with Fred "Blackie" Sullivan, Gun Gallon, exiled from the otherdimensional realm of Orios, joined the Group. Eventually Cletus Nero (Dark Flyer I) retired, only to be replaced by his son, Dominik Nero (Dark Flyer II). Gun Gallon returned to Orios and was replaced by Plasma, Jeff Sullivan's daughter. 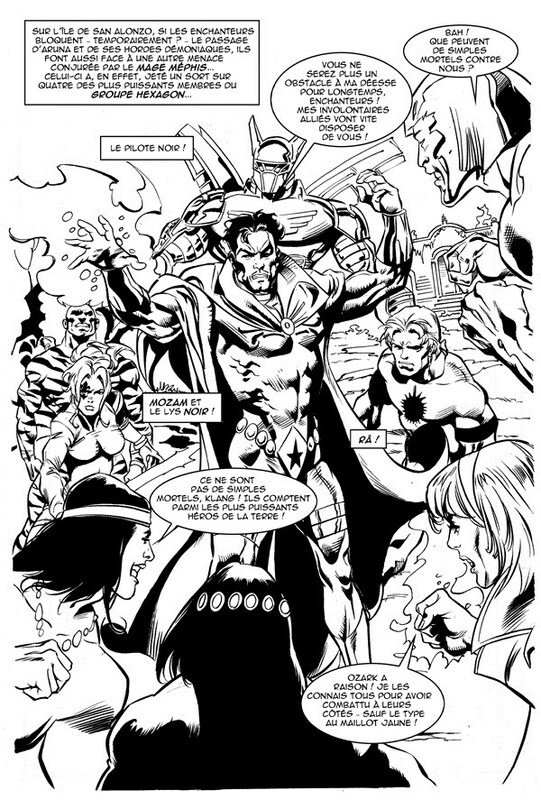 Mozam left and was replaced by Rakar (II), who had just left the Marines and helped Hexagon against their arch-enemy, the Necromancer. Later, the Necromancer managed to get control of the Group and forced them to battle the Strangers on the Moon. Jeff Sullivan appeared to die there and was replaced by his brother, Fred, who had reformed. Ben Leonard then joined the Group under the alias of "Râ". The Group was recently manipulated into fighting the Enchanters, but soon teamed up with them to battle the dark goddess Aruna.